Judith Ann Lisk, 67 years of age, passed away Sunday March 17, 2019 at UH-Portage Medical Center in Ravenna, Ohio. Born in Cleveland, Ohio on September 6, 1951, she was the daughter of the late Robert and Helen (Salzer) Wolf. A resident of the Windham area the past 40 years, she was a 1969 graduate of Parma Senior High School. 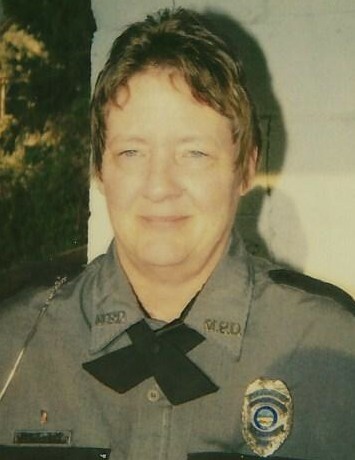 Mrs. Lisk had faithfully served the Mantua Police Department as dispatcher since 1999. Judy enjoyed swimming, and will most be remembered as a quiet lady whose cooking and taking care of her family will never be forgotten. On November 8, 1968, she married her devoted husband Arthur “Ted “ Lisk who survives at their home. She is also survived by her beloved children Matthew (Patrice) Lisk of Middlefield and Rachel (Robert Brown) Lisk of Garrettsville; her loving grandchildren Penelope and Maximus; and dear siblings Paul Wolf and Karen (Bill) Donovan both of Florida and Donna (Bill) Neilsen of California. She was preceded in death by her brothers Robert, James, and Mark Wolf. No calling hours or services. Cremation has been held. Arrangements are by the Green Family Funeral Home & Crematory Service in Mantua, where condolences and memories may be viewed at www.greenfamilyfuneralhome.com.